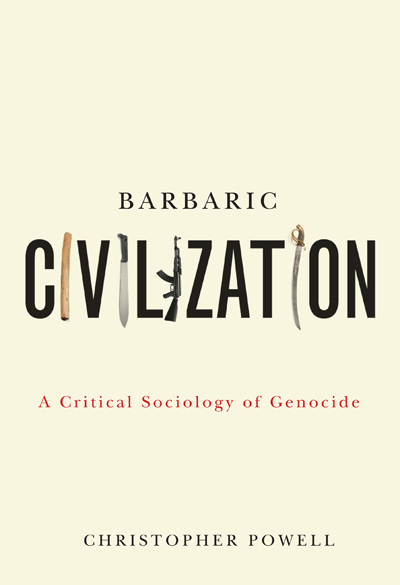 Today on Urban Nation LIVE, home to my alter-media-ego on Winnipeg’s STREETZ FM, I had the opportunity to discuss the provocative thesis of my friend Chris Powell‘s new book, “Barbaric Civilization: A Critical Sociology of Genocide.” An assistant professor of sociology at the University of Manitoba, Powell’s thesis is provocative because he applies the book’s radical premise — that “civilization produces genocides” — not only to places like Rwanda and Nazi Germany but to Canada as well. Indeed, as you’ll hear in the interview, Powell asserts that this country’s deliberate design, construction and support for the ‘Indian’ residential school system (a system whose multiple legacies we continue to live and struggle with today) is only the most recent example of Canada’s calculated campaigns of genocide against Indigenous peoples. HELLO ! I am a mother of the 60- 70 Scoop 🙁 I placed my children with the children’s aide society in 1968 in order to give myself sometime to better my life in order to give my 3 children a better life and get off welfare. I was living on a measily $167.00 in the 60’s ..$75.00 of this went to rent. the rest was for food, clothing,misc, outings etc?? In january of 2011 i heard on the news that in those years ppl on welfare were not being given the appropriate amount to live on ?? 50 years after the fact?? whenn i phoned to see how my children were doing the CAS worker told me she could not tell me where they were but they were not there.